A roofer found guilty of attempting to kill a colleague following a post-work drinking session just days after they first met has had an appeal against his conviction rejected despite claiming he was acting in self-defence. Thomas Telford, who was sentenced to nine-and-a-half years’ imprisonment after being convicted of the attempted murder of Callum Thomas, argued that the trial judge erred in ruling that his special defence of self-defence and provocation could not apply, but the High Court of Justiciary Appeal Court refused the appeal. 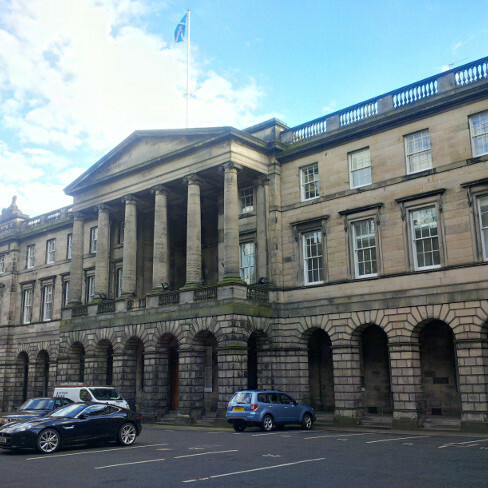 The Lord Justice General, Lord Carloway, sitting with Lord Menzies and Lord Turnbull, heard that the appellant Telford was found guilty following a trial at the High Court in Livingston in November 2017 of three charges which arose out of an incident in his flat in Niddrie, Edinburgh on 12 August 2016: namely, (1) attempting to murder the complainer by repeatedly striking him on the body with a knife; (2) assaulting a female neighbour who had heard the commotion and entered the property to intervene by threatening her with violence; and (3) disposing of the knife. The trial heard evidence that Telford and the complainer Thomas, from Castlemilk, were workmates who were employed as roofers. They had first met only in August 2016, when both were engaged on a site in Edinburgh city centre. After finishing work on August 12 they went drinking, and each had five pints of lager and a bottle of Buckfast before travelling by bus to the complainer’s home in Niddrie to drink vodka. Thomas told the court that he had gone for a shower and that when he returned to the living-room Telford was stabbing the wall with a large kitchen knife. Thomas punched Telford in the face, and Telford then stabbed the complainer twice in the abdomen, causing him to fall to the floor. A female neighbour (the complainer in charge 2), who had heard a commotion, ran into the flat and tried to intervene, only to be pinned against a wall by Telford. Thomas tried to dive over a couch to escape to the kitchen area, but as he did so he was stabbed a further four times in the back, and having fallen to the ground, was stabbed again on the right knee and on the front of the right thigh. Telford lodged a special defence of self-defence in respect of charge 1, but he did not give evidence. The advocate depute submitted that self-defence was bound to fail because Telford had admitted taking the knife from Thomas, who was then unarmed, and stabbing him three times. When Thomas had gone over the couch, there was a clear means of escape, which the appellant had not taken. The trial judge concluded that both self-defence and provocation failed as a matter of law, as on Telford’s own account, there was no imminent danger and he had a means of escape when he had used the knife, which use had been, on any view, disproportionate. The ground of appeal was that the trial judge had erred in directing the jury that self-defence could not apply. Telford had been entitled to rely upon the “mixed statement” he had given under caution in his police interview, during which he admitted stabbing Thomas three times after he had disarmed him and he had turned round and twice in the back when he tried to climb over a couch and run towards a knife block, and claimed that the only reason he had stabbed Thomas was “to save my sell … it was either me or him … it wasnae gonna be me … I could have been lying there deid …”. It was also submitted that Telford should also have been directed in relation to provocation. On Thomas’s own evidence, he had punched the appellant. The jury would have been entitled to conclude that Telford had lost self-control and retaliated instantly. The advocate depute submitted that the trial judge had been correct in withdrawing both self-defence and provocation. Self-defence required the three elements of: imminent danger of attack; no reasonable means of escape; and proportionate response, but none of those had been made out. There was no imminent danger once Telford had disarmed Thomas; he had had a means of escape; and the sheer number of blows, some of which were to the back, could not be regarded as proportionate. Refusing the appeal, the appeal judges said they were “unable to fault” the trial judge’s decision. Delivering the opinion of the court, the Lord Justice General said: “The complainer’s account was of punching the appellant, in order to stop him stabbing the walls of his flat, and then being subject to a vicious attack involving multiple stab wounds, some of them in areas of vital organs, and some to his back when he tried to escape. “The appellant’s version of events saw him disarm the complainer and then stab him, essentially in the same manner as described by the complainer; albeit that he maintained that he had stabbed the complainer in the back because he had thought that he had been making for the knife block. “Neither account contains the requisite immediacy of the appellant being attacked at the point at which the appellant has the knife and the complainer does not. Neither reveals a proportionate response to any threat posed. “On provocation,” Lord Carloway continued, “even the account of the appellant does not reveal that he had reacted, to what he says was an approach by an armed complainer, lost control and acted in ‘hot blood’. Rather, he portrayed an image of being in control throughout and acting in a rational manner, as he saw it. The court nevertheless emphasised that the jury are the “primary finders of fact”. The Lord President added: “Issues of fact ought to be left to the jury and not predetermined by the trial judge; whatever his or her views on the evidence might be.